Last Saturday I rode my bike downtown to Art Hop passing the depot, where I snapped a photo with my iPhone which I used as my reference photo in another side by side, freehand, iPad drawing in Procreate with a Sty-HD stylus. 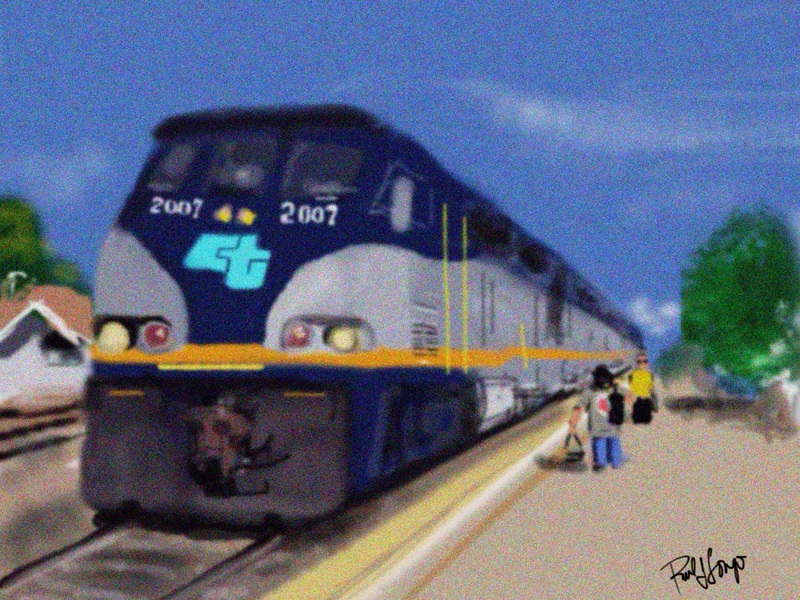 This entry was posted in Digital Artwork, iPad Art, Sketches and tagged Amtrak, Merced Amtrak Station, Merced California, Procrea, vehicle by portfoliolongo.com. Bookmark the permalink.